Kew Green Hotels will reopen the Holiday Inn Walsall in January following a multi-million pound refurbishment. The West Midlands hotel will have 156 air-conditioned rooms, a pool, sauna and Jacuzzi. Its event space will include ten meeting rooms with capacity for 150 delegates theatre-style. Kew Green Hotels chief executive Paul Johnson said: "I’m delighted to have David Jones, the hotel’s general manager, managing this project for the group." 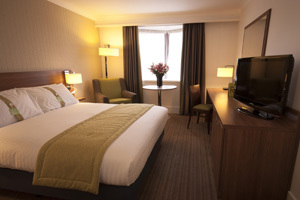 Kew Green Hotels operates 21 hotels across the UK under Holiday Inn, Holiday Inn Express, Crowne Plaza, Days Hotel and Courtyard by Marriott brands. It also operates the Richmond Hill Hotel in London.